Winter is fast approaching and the days become colder. I can’t say I am a big fan of this season, but do like to make the most of it! What are your plans? 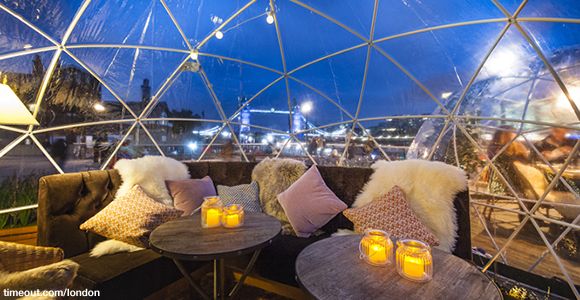 What about enjoying a meal or a few drinks in an igloo… right by the river Thames… overlooking Tower Bridge? I know… What a cool idea! 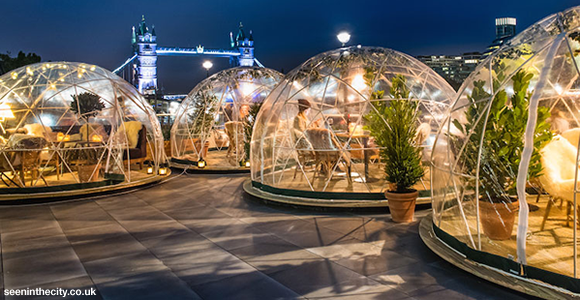 Coppa Club in London have recently placed the “igloos” out on the terrace of their London Bridge restaurant. There are 8 of them in total and they are perfect for socialising whilst enjoying the capital’s skyline. The structure of each igloo is clear so you are able to make the most of the views around you. They are available to everyone, but you can also reserve one for a private occasion. The heated (thank goodness) igloos come as dining and seating “pods”. Inside them there is lounge seating and there are also sheepskins for you to snuggle into. The dining igloos can accommodate up to 8 diners in total. 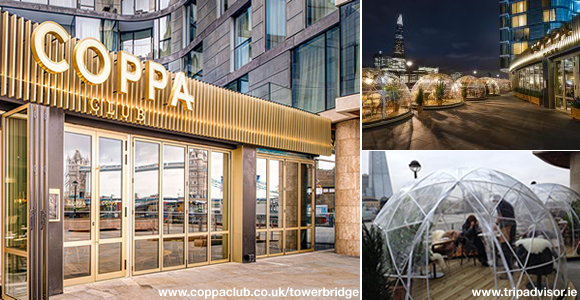 Serving the Coppa Club menu, the restaurant has also incorporated their festive cocktails to ensure that you are able to make the most of the igloo experience. So, what are you waiting for? Christmas? Let’s get to London and feel Eskimos for the day!